You read this first here. 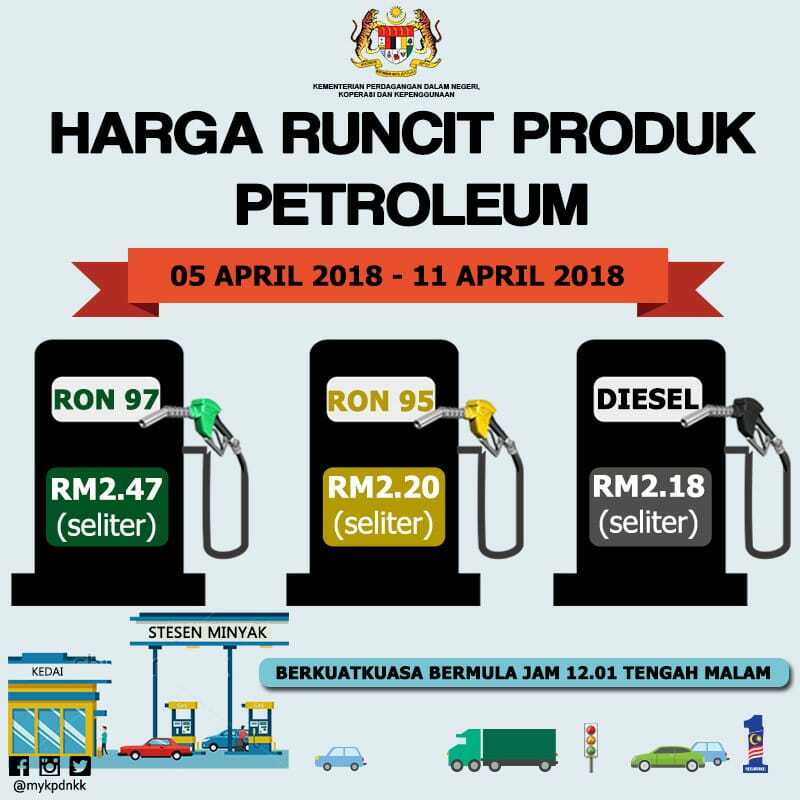 Please like Durian Runtuh Facebook page and follow Harga Runtuh Twitter to be the first to know the latest Malaysia petrol prices update every Wednesday before anyone else! 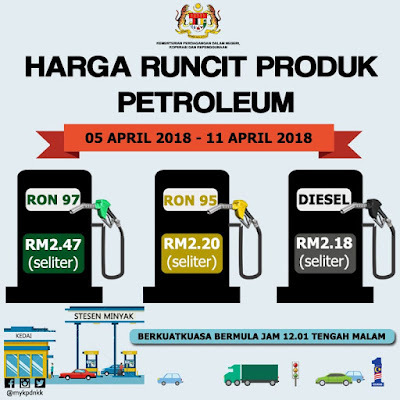 These latest weekly petrol prices are applicable at all Petronas / Shell / Petron / BHPetrol / Caltex petrol stations in Malaysia. This topic was automatically closed 365 days after the last reply. New replies are no longer allowed.